American Gutter Supply (Est. 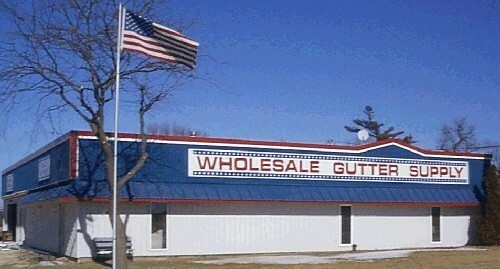 1996) is a family run wholesale gutter supplier located in Eastern Iowa . Our mission is to provide excellent customer service and quality gutter products at competitive prices. We specialize in copper gutter materials and aluminum gutter accessories and offer a wide variety of gutter parts like gutter hangers, gutter miters, raytec hangtite gutter hangers, gutter end caps, downspout pipe clip saddles gutter outlets, gutter screws, geocel 2320 gutter sealant, ruscoe 12-1, 12-3 perma seal gutter caulking, OSI GS-121 gutter caulking and more. All stock orders placed by noon are shipped the same day. Non-stock orders are shipped direct to you from the manufacturer saving you time and money. Please note that free shipping is only in the 48 continental states and that downspout and gutter coil require LTL shipment due to length restrictions. 4x5" Downspout Pipe Saddles 30 Pcs. 5" Raytec Hangtite Gutter hanger with clip 1000 pcs.